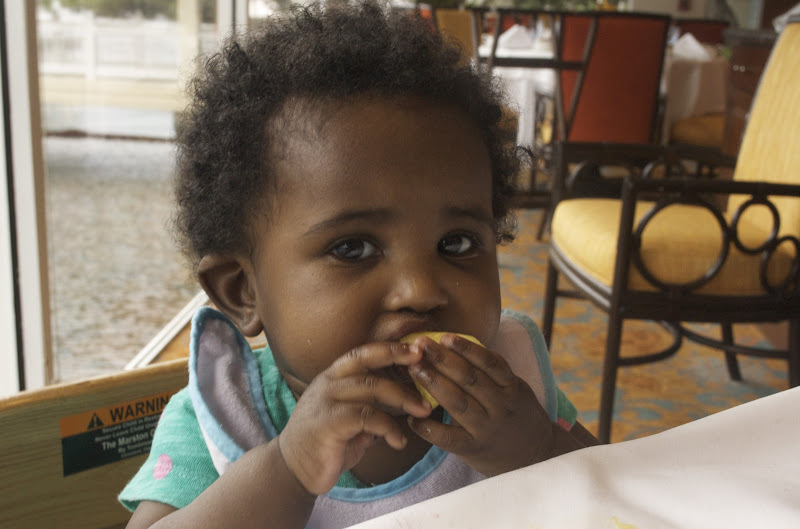 It's been a while since I mentioned my hope to introduce solids using the baby-led weaning method (thanks Maryam for introducing me to the idea). Since then, I would say I've used a combination of baby-led weaning (BLW) and some traditional spoon-fed techniques. Baby led weaning has a website, and a book that explains the concept much better than I will here. 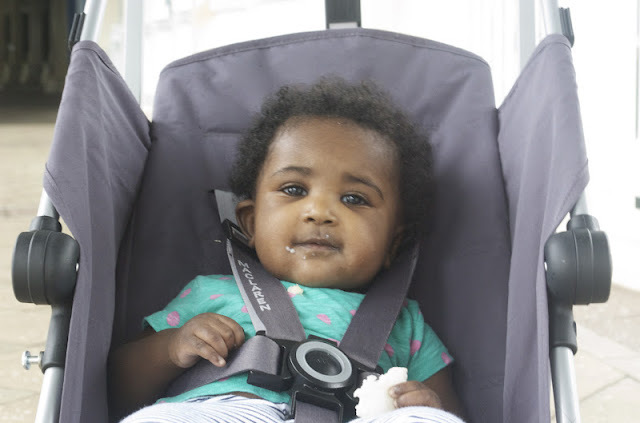 In summary, the concept is built on the methodology that at six months, babies stomachs are developed enough to digest solids, and that by using (non-choking) size solids babies can develop motor skills quicker, and have a positive foundation as they start to build their relationship with food. I don't totally agree with this introduction of solids having a significant affect on a baby's relationship with food. However, I do think Naja has great motor skills for her age, and I would think I could attribute this to BLW. She knows where her mouth is and definitely puts food there. Not to mention, Naja is an independent little baby - she does not like other people putting food in her mouth, likely a result of BLW. This is how BLW worked with me...At six months, I gave Naja whatever I cooked for myself for dinner, with foods including: noodles, carrots, hummus and pita, etc. NOTE: I did not give her anything that included peanuts, salt, sugar, or seafood. There's also a list of foods to stay away from, or to use minimally like cheese and bread, the book has details. Naja would "gum" on these foods, and swallow some things. It was difficult to say how much she consumed, and I think this was the main problem my mom and my doctor had with this method. Thus, I decided to introduce some purees after a couple of weeks of "solids only." 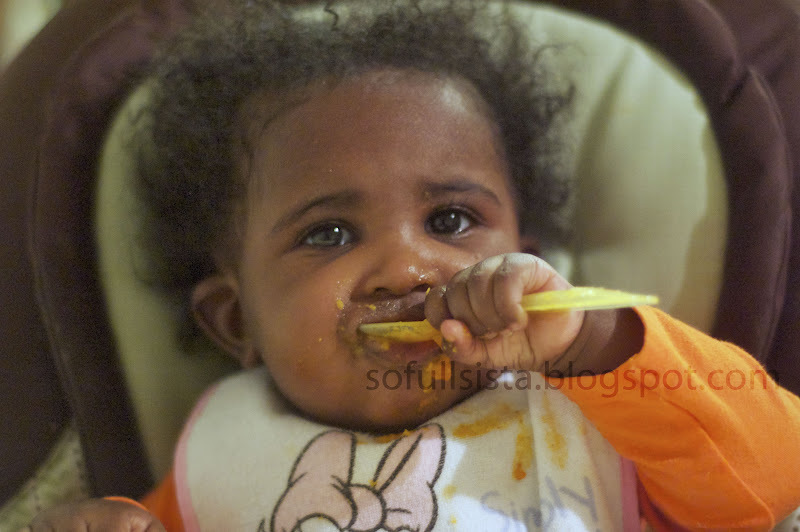 By this time, Naja was accustomed to feeding herself, so I would simply hand her a "loaded" spoon, and most of it would make it to her mouth. I make some purees myself, however I also buy some food from the store, and if I make a pureed soup for dinner - Naja will eat whatever I've cooked. I try to vary what I feed her, paying close attention to any negative reactions. The only allergens in Naja's immediate family is in the seafood family, which I'm clearly staying away from right now. However, we haven't run into any allergies, and she's tried LOTS of fruits and veggies. So, this is how I decided to introduce solids to Naja, I am ok with the decision to not stick strictly to BLW. 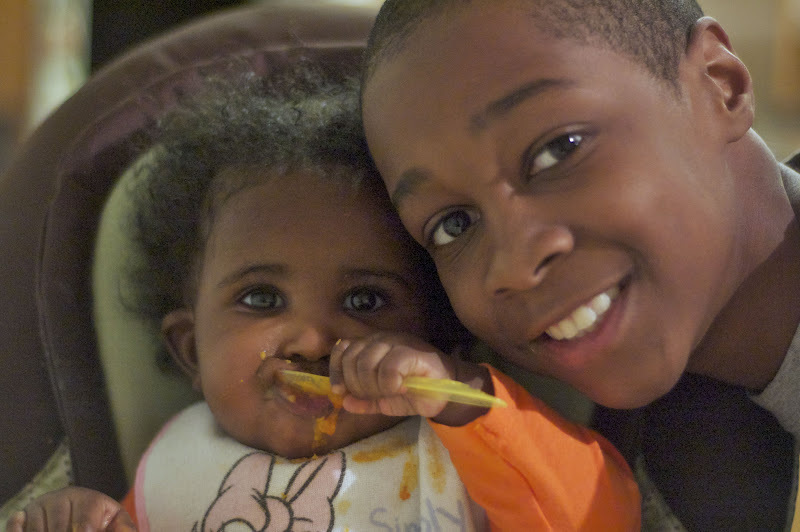 However, the main concept that I attached to was allowing her to feed herself, and she does that, so I am happy about that. This introduction did cause a bit of an interruption in our nursing schedule and it cut out one evening feeding. Aside from that, she nurses about the same amount as before, and consumes the same amount of milk during the day while I'm at work. Granted it's several weeks AFTER the Superbowl, but I'm setting you up for future superbowls and summer BBQ's! It can be difficult to find vegetarian dishes that taste good and blend well with "set menus." These sliders pair wonderfully with beer, nachos, wings and meatball sammies. 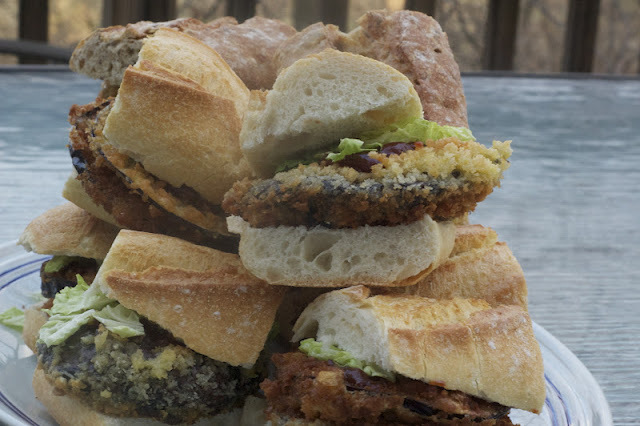 I prepared these sliders for the big game party I attended at a family friends' house, and they were a huge hit! 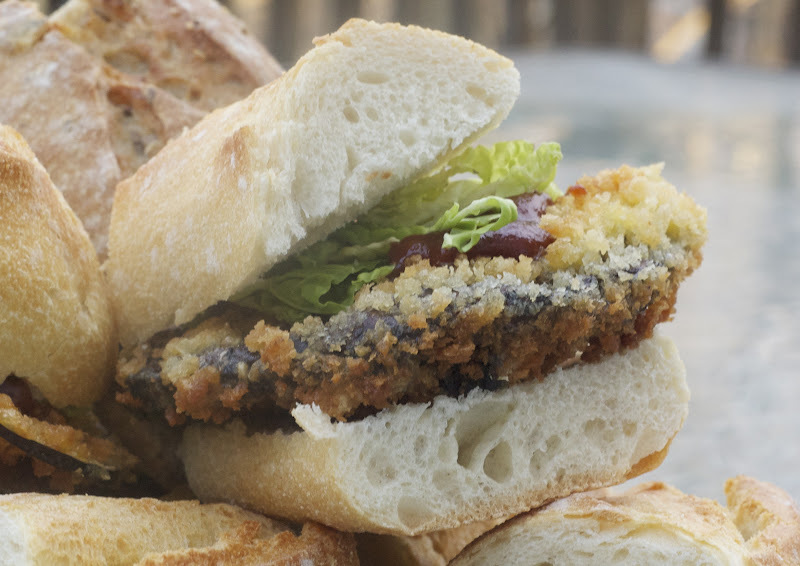 Eggplant has a very hearty flavor, and when you top it with panko breadcrumbs, fry them in vegetable oil, and add your own special homemade ketchup you have a winner! Even if you hate eggplant, I dare you to try these sliders. The ketchup alone will be a "kitchen staple" for me. It was sweet, with a little bit of heat, and a ever-so-slight tang, and then savory hits ya when paired with the slider. This is vegetarian superbowl food! 1-2 French Rolls, cut into slider-sized "buns"
For sliders: Heat oil in pan. Coat eggplant/mushroom in flour, then beaten egg, then breadcrumbs; fry in hot oil. For ketchup: Add all ingredients to a small saucepan and boil for five minutes. Make sliders: Place eggplant/mushroom on bread, top with ketchup, then shredded cabbage, and the top "bun" shell. 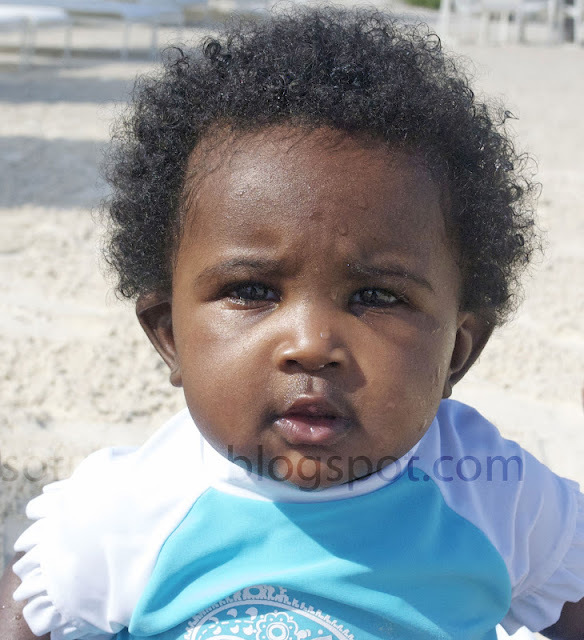 Here are some more pictures from our trip to Key Largo, and specifically - Naja's first time at the beach! The beach was not adjacent to a real body of water, but the sand was real, and so was the water she splashed in! Naja's Bathing Suit & Hat - Target. Our day at the beach was spent with Naja observing everything, and slowly playing with her surroundings. She likes to be eased in to things. For example, she likes "flying" in the air, but if you quickly lift her up - she'll scream; however, if you slowly raise her to the sky - she's as happy as can be! 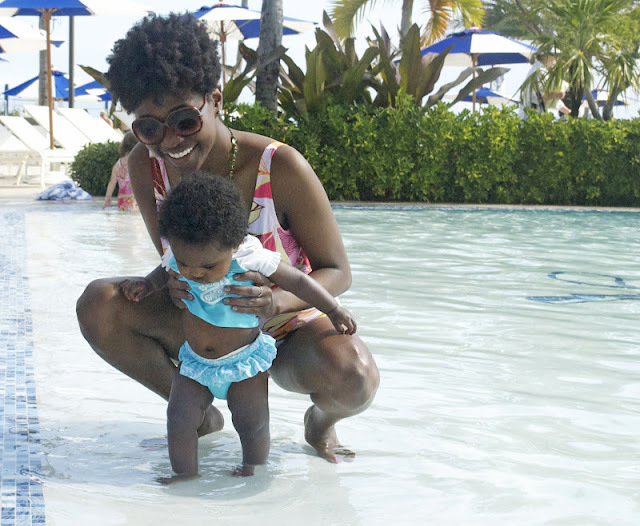 Thus, I slowly introduced her to the water, first allowing her to stand and splash, and we eventually moved to sitting in the pool, and then moving around in a floaty tube. She ended up splashing herself quite a bit, and found the entire event quite interesting! I wish I had more pictures of her in the pool, but I was in them, and well, let's just say I don't want my décolletage on the net. 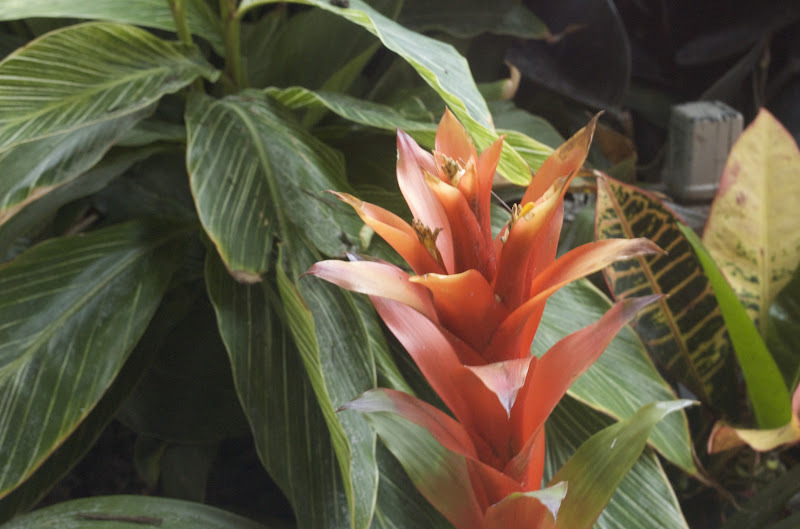 I've been pretty MIA from the blog, but I'm happy to say that I have a lot of pictures (I.e. content), that I am just waiting to find time to post! In the meantime, I thought I'd share some pictures from my trip to Key Largo, Florida. Naja, my mom and I flew to Key Largo on Wednesday for an early 7:20 AM flight. Naja was fantastic on the plane, she cried a little, played a little, ate a little, and slept a little. 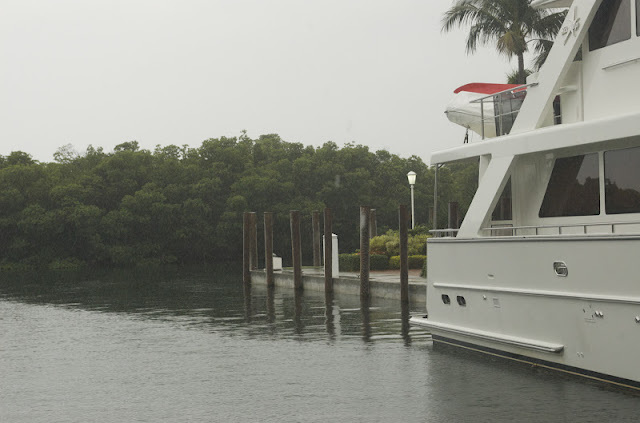 When we arrived to Miami, we quickly rented a car, and drove to the resort. The trip is a "bonus trip," courtesy of my company for my department hitting our goals. So basically, we're chillin' at a super nice resort, with a lot of DELICIOUS seafood, some sun, and some true relaxation. Times like this, I'm actually happy that I eat seafood, because it literally tastes like it is FRESH out of the ocean. We have one department activity every day, but the rest of the time has been on our own, and we're having a great time. For the first day, we pretty much stayed inside because it was overcast and rainy. Below are some pictures from our brief (I.e. 5-minute) nature walk. Naja on our nature walk, snacking on a Mum Mum rice cracker. I am so grateful, because I never would have imagined I would ever be able to go to a place so fancy, and the fact that Naja could tag along is just icing on the cake. 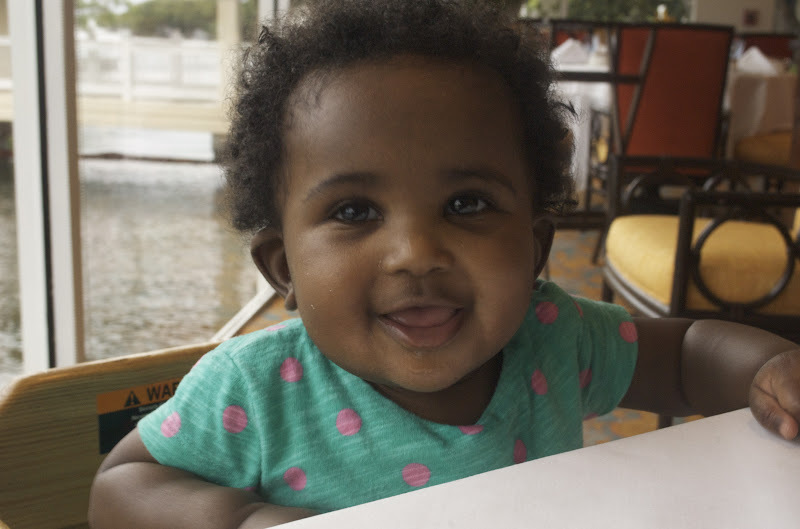 Speaking of cake, this trip has also been interesting since Naja is eating solids now, and she's a really good eater. 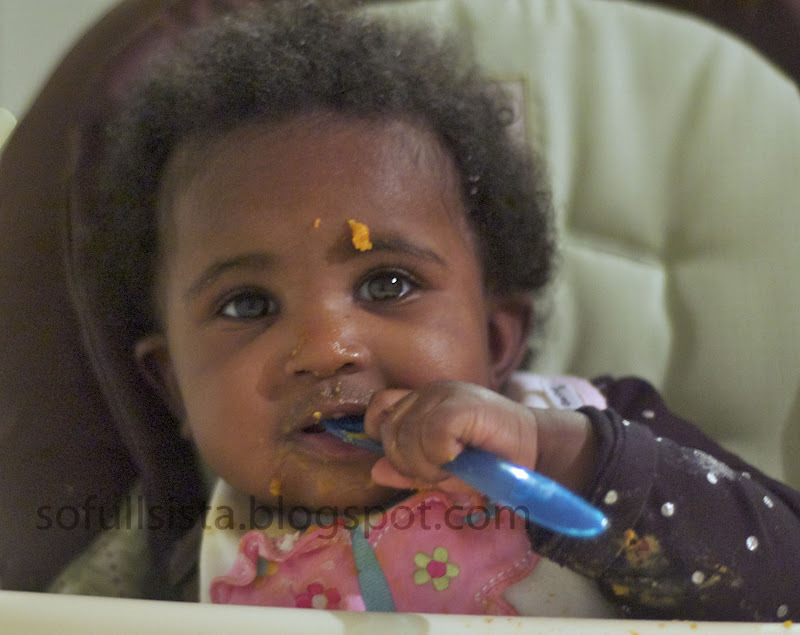 I ended up doing a mixture of baby led weaning with some version of spoon-feeding. 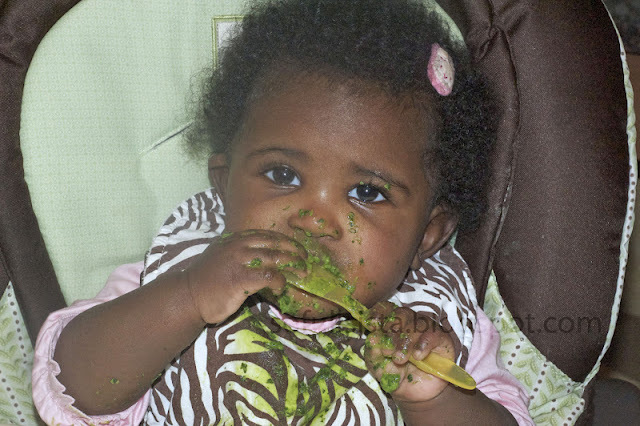 She eats just about everything: eggplant, pineapple, broccoli, spinach, potatoes, yogurt, banana - EVERYTHING! No allergies yet - although we are staying away from citrus fruit, nuts, and fish for now. Below are some pictures of Naja eating at one of the fine dining restaurants on the property. It's quite hilarious, because there's a dress code at the restaurant, and here is Naja, in her sneakers and leggings, snacking on all types of tropical fruit. We leave tomorrow, but I'll be sure to post pics from our day at the beach later.